A unique one of a kind necklace. The main piece is a 1 1/2" copper disc. I have hammered a rain design to it. 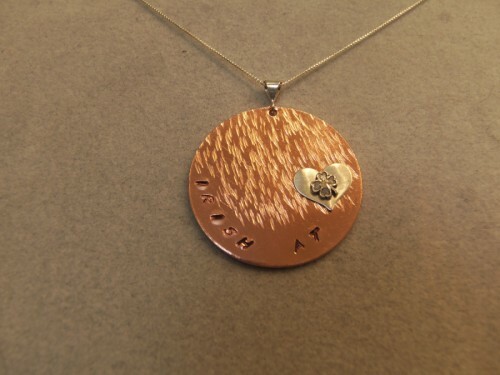 I then stamped the words "Irish at" and then added a small sterling silver heart with a shamrock in the middle. A 20" sterling silver box chain is included.